Ten New Homilies Just Added! Yes, as King David prophesied in Psalm 23, the Lord Jesus is my Good Shepherd, with Jesus leading me, and with me following Him, there is nothing that I lack in life, nor shall I lack anything in the future. For in green pastures Jesus my Good Shepherd gives me rest. When I let Jesus Shepherd me, there will always be plenty of gentle, rolling hills for me and my brother and sister sheep to graze and play and rest in, green pastures that the wolves and thieves of the world cannot enter into for they rightly fear Jesus our Good Shepherd who watches over the sheep of His flock. Jesus my Good Shepherd always leads me, if I follow Him, to safe water. As another Psalm, Psalm 32 says, the floods of water may reach high, but they shall not reach the man who prays to you Jesus. With Jesus Shepherding us, we will walk on water, walk above the floods this life can sometimes send us, and when the floods subside, we will rest beside calm waters with Jesus resting beside us and as the second reading says we will drink of living waters flowing from the side of Christ. Jesus the Good Shepherd guides me along the right path. Out of all the many paths I could take in life, if I look to Jesus, He an He alone will show me the right one to take – the path that is right for me, the path that the Father has blazed for me to take, my vocation, my mission in life, Jesus if I look to Him will show me that narrow path, hidden from the world, that alone leads to Life Eternal. Even when I walk through that dark valley, I fear no evil, for by your grace I know by faith alone that you are at my side, you will get me through this current dark period as you have so many times in the past. And Jesus, whether I’m in that valley, or high up the mountain in green pastures, at all times your rod and your staff give me courage. For I know that if my sins get the better of me, and I willingly stray outside the pasture into danger, Good Shepherd that you are, in my conscience you’ll hit me with your rod, not too hard, but firm enough that it’ll smart enough for me to realize I need to get back right away to the pasture and ask for your forgiveness for straying. And then you’ll take me your little repentant sheep on your shoulders and dance around for joy that I’ve come back safe! But besides that firm rod of yours, there’s also your wonderful staff that gently keeps me from straying from no fault of my own off the narrow path. Jesus, may your teachings as found in the Bible and as taught by your Holy Catholic Church be a rod and a staff to give me courage and keep me always in the fold. And at the end of my life, You will separate me from the goats and place me on your right with the sheep, and I shall then dwell in the House of the Risen Lord, the Good Shepherd, for ever and ever. Amen. Happy Easter everyone! 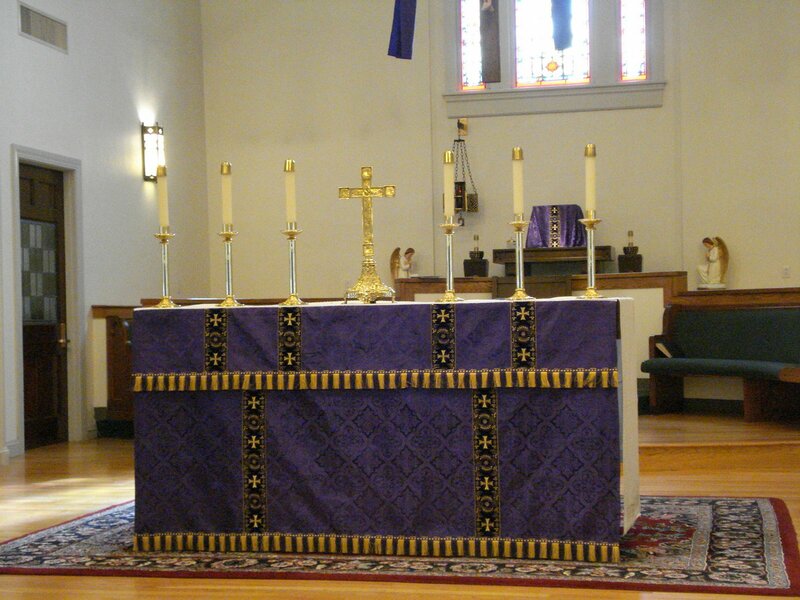 I hope to start posting some of my Lenten and Holy Week 2010 Homilies, and my Easter Homilies in the weeks to come. I’ve been rather busy of late, please forgive me! You are currently browsing the fatherwoolley.com blog archives for April, 2010.